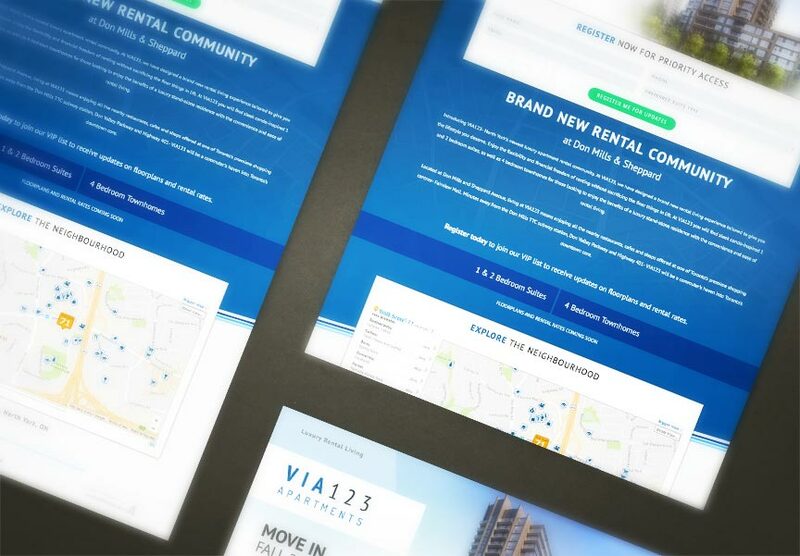 Congratulations to VIA123 Apartments, who launched a landing page for their new build on February 16th, 2017. Their luxury rental living community at Don Mills and Sheppard in Toronto, is now taking registrations for priority access to the rental suites, via the online form created by LWS. Along with a Walk Score map to highlight community access, the landing page shows off large rendered images of the property, in the top fold. Explore all the landing page features at www.via123.ca.